It was only a matter of time, good weather, and patience, I knew it was going to happen. It was right on line. And when I clicked that shutter, I knew I had it! It was hard to contain my excited exclamation…”GOT IT” Job done! Click on for closer look. Nice shot; I’ve not managed it yet, but this gives me ideas for some posts. Super shot. Are you near an airport with predictable flight tracks? 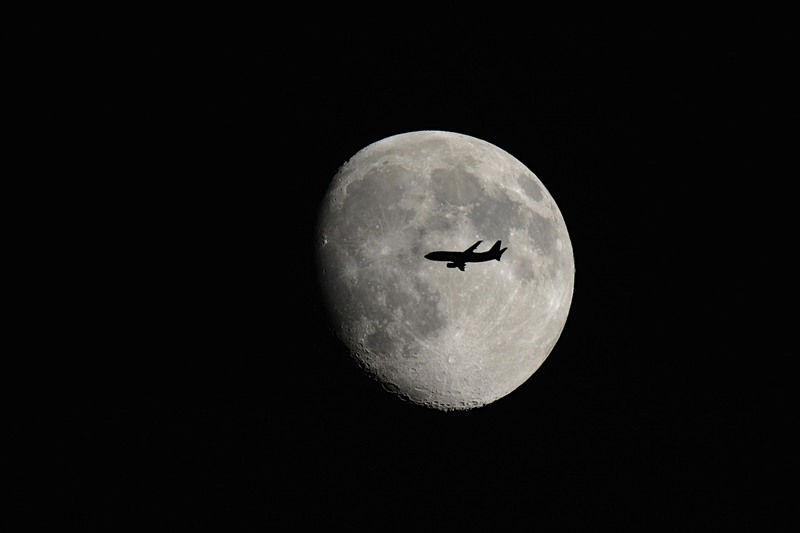 Amazing image with wonderful details–just getting a good shot of the moon is not easy. Nice site … and great photos! Woozer!!! Love it….when I zoomed in it’s even better!